Using the New Forums (In Progress) - Please Post Questions and Issues Here ! ...I'm not logged into the DAZ site on Opera ! More curiously, I didn't see the 'signing you out' crap, and the head+shoulders thingy top right is white, asit should be when you're not logged in. So maybe I didn't actually log back in while doing the last post (which I did from FF) this one's easily explained - I changed oneof Opera's privacy settings, and all cookies were cleared on closing the browser. So I've set that back as it was. - And '...generally...' - implies that sometimes you don't ? P.S. I did hear you last time almost exactly a year ago. I even tried what you suggested back then, and still got auto-kicked-out from the forum. ...and it seems that the left-hand software doesn't have a clue what the right-hand software is doing ! Just off to manually log out of the DAZ website in Firefox, Chrome and Opera. Then I'll log back in on all three via the front page. How much are you willing to bet that I won't be auto-signed out from all them within, say 5 days ? Edit3: ...and Chrome. Let's see how long it takes. I'll also try only viewing the forums- not the store, not the gallery. More adventures... Opera, Win10. Logged in from the daz3d.com front page, "remember me", all that. Browsed some forums. Checked out the biweekly freebies. Snatched that Hiro 5 bundle just in case. Got logged out of the whole site, store and forums both, after I clicked the final green button in the "purchase". Ended up on the front daz3d.com page. First time it happened to me. The bundle got added to my account fine, as it turned out, but I wouldn't want this to happen during an actual purchase. I have the forums open in one tab and my account open in another tab. I don't close them. If the store and forums are separate software, why does doing something in the one tab log you out in the other? Fishy! If I am logged out in the forums, I switch to the tab with my account...which is usually still logged in...I refresh that page, then when I go back to the forums tab, it logs me in when I click on any link there, or refresh that page. Well, since my last post, I did nothing. I refreshed the forum tab and it signed me out. I saw that there was a new post in the Fluidos thread. But after showing me the thread with the orange 1, it signed me out...before I even clicked on it. I did not close the browser, I did not log off, I did not look at the store, I've been busy with other things. Well, if chohole had accepted my wager I'd have to find storage for seven extra Ningys ! COME ON DAZ - THIS HAS BEEN A PROBLEM SINCE 2015* ! Edit: Anyhow, 13 hours later I'm still logged in on all three browsers. I even switched off the computer for a while. *Bug report 204662 (Abysmal Behaviour Of "Keep Me Logged In" Option On The DAZ Forums Looks Very Unprofessional) raised 7 Nov 2015. Last message 2 Apr 2016 (from DAZ) "I have passed this to web. Unfortunately, I can not say when they will be looking at it again as they are really busy at the moment. I will be sure to report back as soon as I hear something.". Next time I looked (Dec 2016) I had to open a new bug report 234416 (same title) with "This is a follow-up to your previous request #204662 "Abysmal Behaviour Of "Keep Me Logged In" Option On The DAZ Forums Looks Very Unprofessional". The last I heard on this was 2nd April. I guess it should have been the 1st, April Fools' Day... ;o) Just noticed that the support request was closed. No idea by who, or why. Not by me - I'm still patiently waiting for a response. If you're not going to fix it please just say so ! :o)", to which the response was "...Unfortunately the Web team simply doesn't have the resource to resolve the issue you reported..." and that report was closed too. So yes,I know that DAZ aren't going to fix it... which is why I have so much fun posting about it ! It's a sort of 'Happy Birthday' to the bug - 3 years old ! We had a party to celebrate, with jelly and ice cream and cake and hats and poppers and those curly paper kazoo things you blow into..
Less than 24 hours after logging into the DAZ site on all three browsers via the main page, guess what ? ...I've been kicked out again on all three. But I noticed that this time Chrome didn't do that 'Signing you out' crap, and actually left me signed out but on the forum page I was viewing... a pure fluke I think. So that's twice now I've logged in via the main page on allthreebrowsers and been kicked out on allthree within 24hours. Taken in conjunction with the 'all day' in chohole's comment "...generally get left logged in to bothe the store and the forum all day.." I'm beginning to think that DAZ have redifined "Keep me logged in" as 'Keep me logged in for 24 hours maximum" - but only when it's via the main page; when it's via the forums it seems to mean 'Keep me logged in for a completely arbitrary time"
Anyway, I'm beginning to get bored with this game, so maybe next year ? ...I've just been auto-signed out from Firefox again - less than 5 hours this time. Still signed in on Chrome and Opera. Firefox: Options > Privacy+ Security > Cookies +Site Data >Manage Data : no longer seems to let me look at individual cookies ? I noticed that the data stored for the 'customergroup' group cookie is simply '1'. So maybe customer group 1 gets the special random period before auto-sign-out ? Number one with a bullet? More like "Number one with a bull***t!" Guess what ? Just opened the browsers for the first time today, went to a DAZ forum bookmark... and I was kicked out on Opera and Chrome (I hadn't logged back in to Firefox). Just logged back into all three via the front page again. What's the betting that by this time tomorrow I'll have been auto-logged out of all three ? For the third time in three days. I'd say that'll be fairly conclusive proof that logging in via the main page is not the solution. At least for me. I get logged out more than once in a day, sometimes more than twice...in the same day, sometimes just an hour or two after last time I read a thread. I'm still logged in on all three - that's around 14½ hours (if my counting skills are working) since I logged back in from all 3 browsers via the main page. But yes, the key word for the auto-sign-out appears to be 'random'. 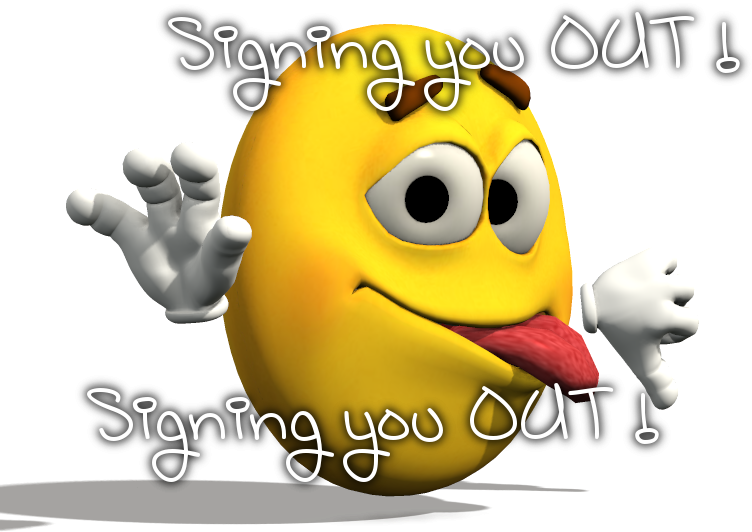 I've occasionally been auto-signed-out very quickly (a matter of hours, maybe less) and once recently (using Opera) I remained signed in for a week or more (see some of my posts from earlier this month). For me logging in via the front page seems to be a complete no-no as I seem to get kicked out consistently,butrandomly, in less than 24 hours.Logging in via the forum the kick-out time generally seems to be longer - days, not hours. And when I sign in on three browsers, if I get kicked out on one I'm usually left signed in on one or bothof the others if I've logged in via the forum page.But if I've signed in via the front page it seems as (more?) likely that I get kicked out fromall three at the same time. That's just 25½ hours since I logged in. At least logging in via the site front page is consistent - no pesky being left logged in for more than 24 hours ! I get error 502 when trying to check my store credit at https://www.daz3d.com/storecredit/info (I used the link in my account). It's been a whole month since I posted a gripe about the auto-signout feature. But no gripe this time ! ...I did warn Emotiguy about that gesture. Hopefully this one's okay ?